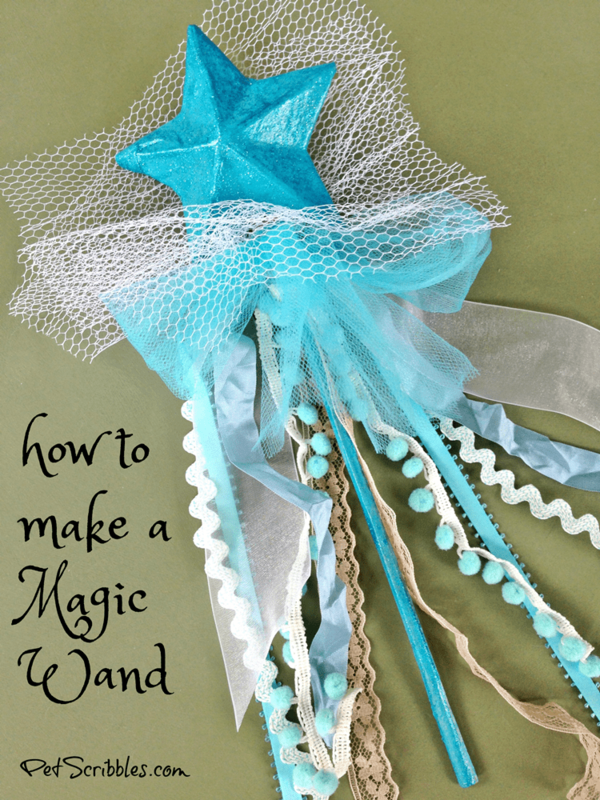 Today’s post is all about how to make a magic wand…because every girl should have one! I get really personal in this post, so grab a cup of tea or glass of wine. 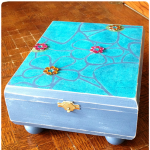 Don’t worry – I do share the DIY eventually! I celebrated my 50th birthday back in June! After surviving cervical cancer in my mid-20s — before the medical field even knew that it was caused by a virus and treatments became much less invasive — I wasn’t always sure if I’d reach my 50th birthday, let alone my 40th or 30th! But here I am! And thankfully, cancer ended up being just one part of an incredible 50 years. And so I decided to make myself a magic wand for my 50th birthday, and to have for the rest of my life. 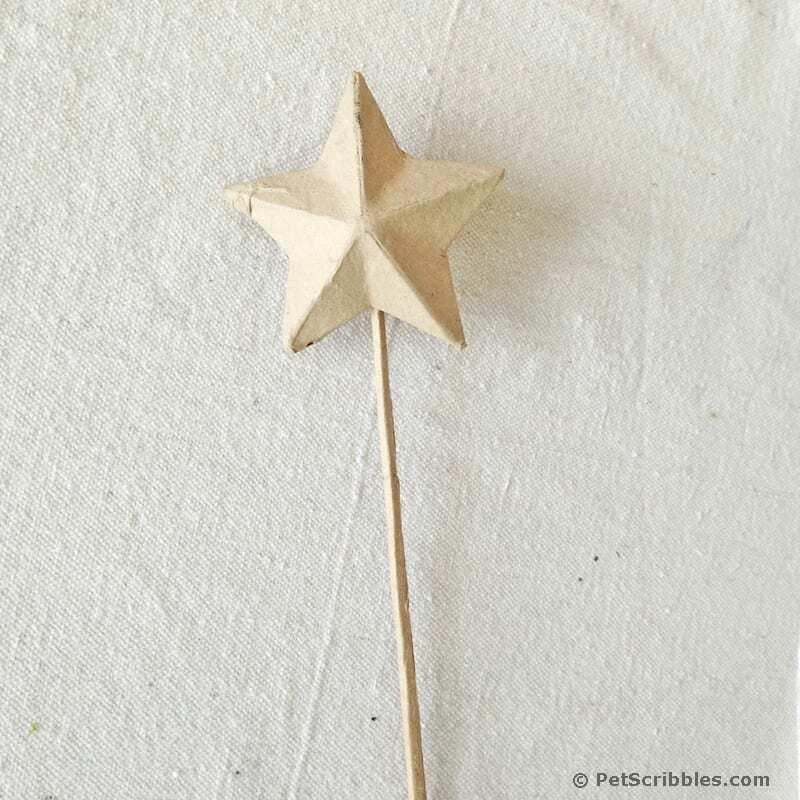 I found a paper maché star wand (image above) here and it was the perfect base to begin my journey. As I began painting the wand with pretty turquoise craft paint, and then going over it with a coat of DecoArt’s Glamour Dust (seriously love that stuff), I began thinking about why I wanted this magic wand. Reaching 50, I was long past the time when as young girls we could live somewhat in a land of make believe. We went to see Disney movies on the big screen that showed there were Prince Charmings out there just waiting for us. Prince Charmings came and went, and the hoped-for Waltons moments didn’t always pan out, but I’ve grown, and I’ve learned and loved and laughed and cried and everything in between. 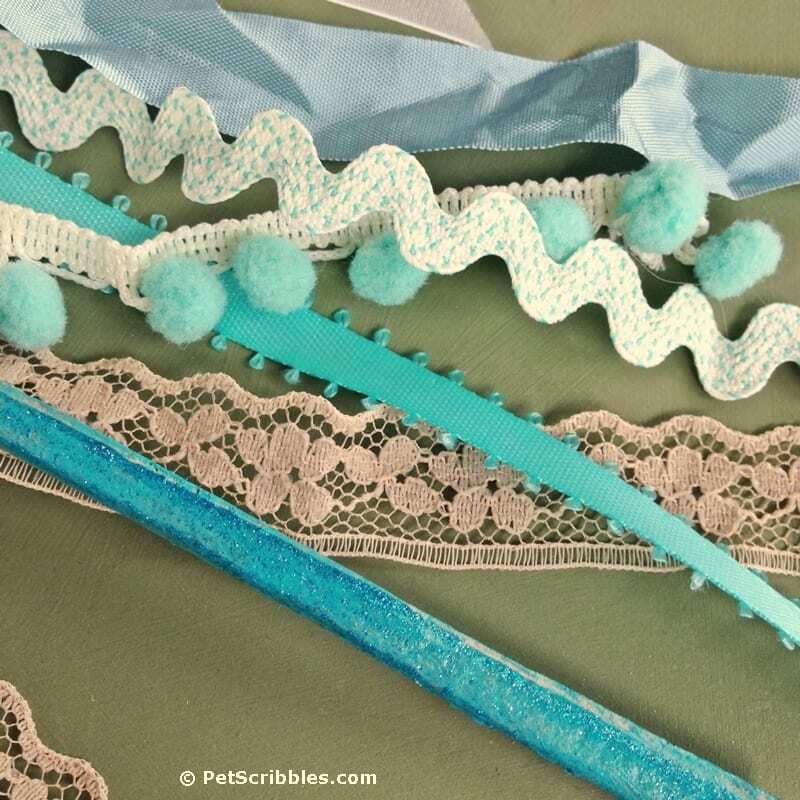 As I carefully chose which vintage ribbons, trims and lace seam bindings I wanted to hang from my magic wand, I realized that I needed this wand as a reminder. A reminder that there have been many times in my adult life where I’ve caught glimpses of the childlike wonderment I experienced as a child. And those childhood moments — before junior high and mean girls and all the that teenage angst, let alone adult-sized mean girls — where there was never any thought about anyone being mean, or do I look ok? Do I measure up? Does he really love me? Am I a fraud? We’ve all had some of those thoughts during our teenage and adult lives. I have decided that because I’m 50, I’ve earned a respite from all that junk! Count my blessings. And I have had many. Even cancer was a blessing in disguise. And I try to always view my most difficult paths on my journey as blessings in disguise. I think every girl should have a magic wand, and that wand should represent to her whatever she wants it to. 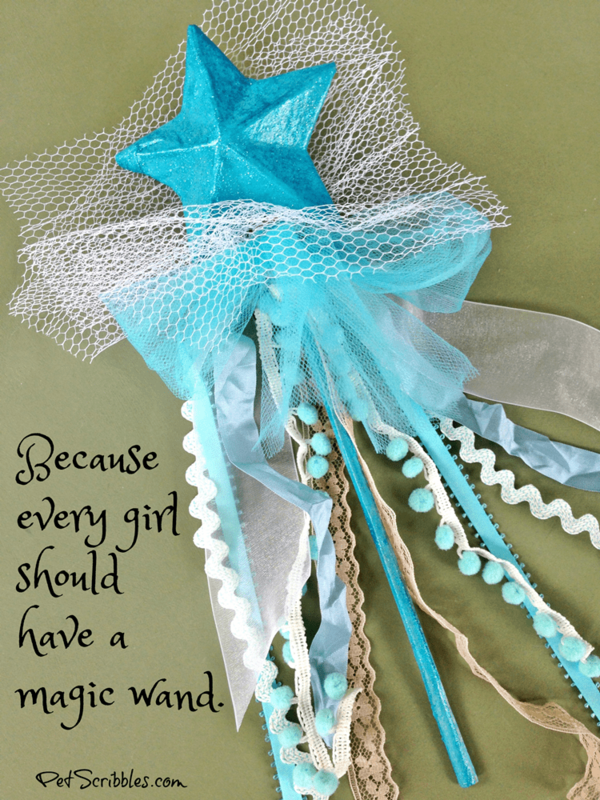 Gather around some of your girlfriends, if you’re fortunate to have a bunch, and consider making these magic wands as a Girls Night In activity. 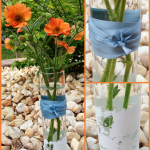 Make a magic wand with your daughter who’s going off to college, or your little girls who love the movie Frozen. If your girls are little, they don’t need to fully understand what the magic wand symbolizes. Let them enjoy the childlike wonderment of creating and playing. And if you make a magic wand by yourself — like I did the day before I turned 50 — trust me that you’ll have an equally moving experience as you let your old “self” go. The magic wand reminds me to seek out the magic all around me, because it’s there. One example for me? Tending to our gardens is a never-ending magical journey, especially as I learn how the gardens change with each season, how the plants have their own good days and bad days. My magic wand represents all that’s good in my world: my loving husband, our wonderful home, my beloved furkids Lulu and Otto the cats. And a small handful of treasured friends — most of them far away — who truly “get” me and love me anyway. And my 85-years-young parents, who are healthier than I am quite frankly! Leading up to my 50th birthday, many people were asking what spectacular “thing” I was going to do for my special day. Most seemed kind of almost let down when I said I was going to spend it with my husband and my parents at their house. It was the best birthday ever, that I will treasure always. 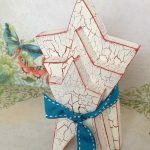 Find something that represents a wand to you, whether it’s a premade one like I used, or one you glue together yourself — for example gluing a paper maché heart onto a wooden dowel from the craft store. 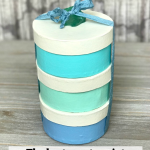 Paint the wand in a color that you find soothing, that makes you smile. Add a coat of glitter, or use the Glamour Dust I mentioned above that gives the same amount of sparkle and won’t fall off like glitter. 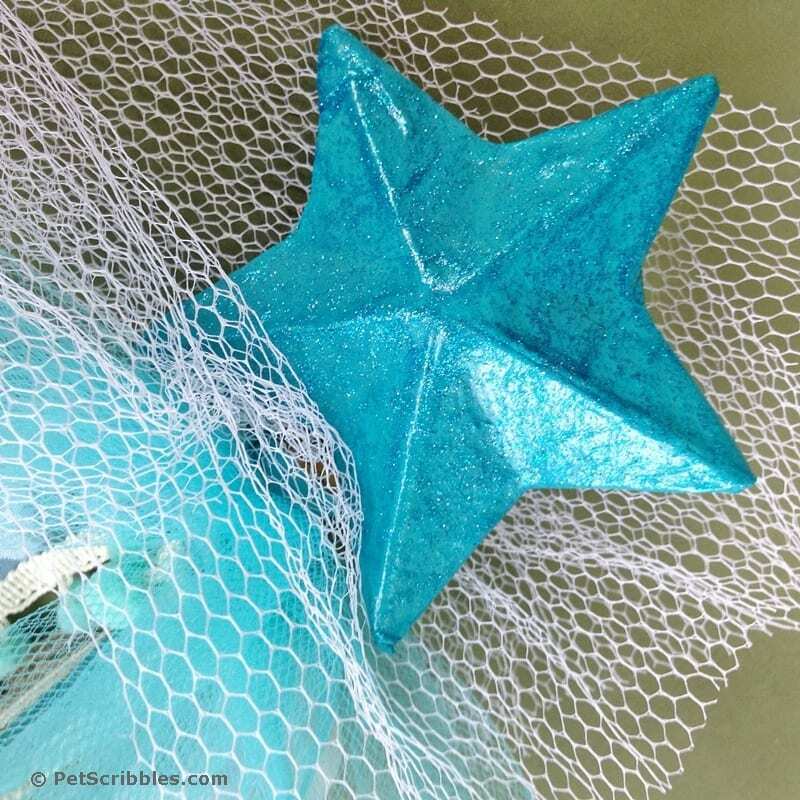 Attach a couple of tulle netting scraps by poking the wand through them so they slide all the way up to the base of the star or whatever your top is. 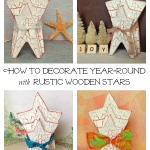 Attach all of the ribbons just underneath the star with a small rubberband. 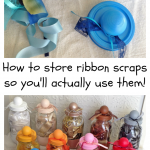 Tie a big tulle netting bow around the rubberband. I used a big piece of turquoise netting. Think about the wishes that have already come true in your life. Think about your childhood moments when you were happiest and the most carefree of any worries or negative thoughts. Keep your magic wand in a place where you’ll see it regularly, whether it’s your desk at work, your home office, by your bedside, hanging from your wall mirror. Thanks for letting me get a bit personal today! I think I just might have to make me a magic wand for my birthday! That is a big deal as I was never really a magic wand kind of girl! Thanks for sharing your brave story! Awww, thanks my friend! I never had a magic wand before either, not that I should have. But, now that I’ve made one I’m super happy about it! I would love to see any magic wand that you make, because your pieces are fantastic!